Far Cry 5 and Assassin’s Creed Odyssey were the fourth and tenth best selling games of 2018 respectively, Ubisoft announced on Thursday. Both games have showcased strong sales, according to what one Ubisoft representative said during a conference call on the same day. This sales data was gathered from GFK, NPD, GSD and Ubisoft’s own estimates, according to the announcement. Also, a Ubisoft representative revealed during the call that the company was planning to launch “three to four AAA games” for fiscal year 2020 (which translates to the time period of “April 2019 to March 2020”, says an analyst). If you’re interested in getting Far Cry 5 then go ahead and read our review of it before buying. 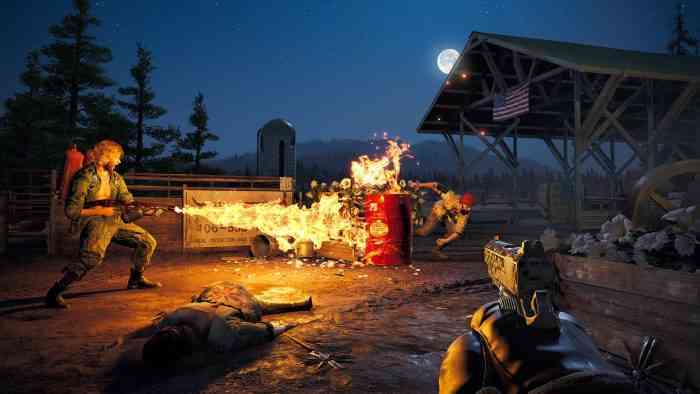 “If you’re itching for a hootin’ and hollerin’ good time with the good ol’ boys and gals of ‘Murica, look no farther than Far Cry,” our reviewer wrote.